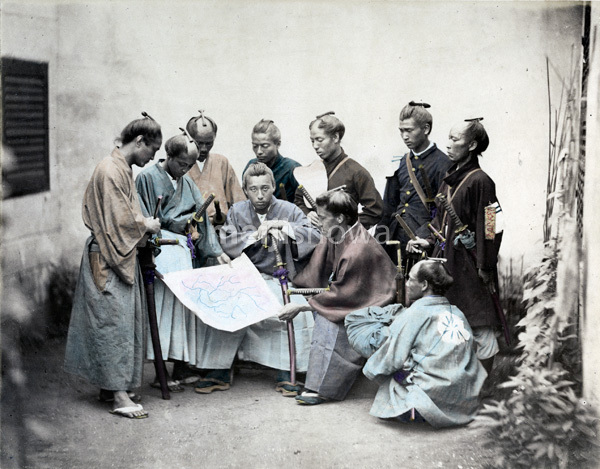 Samurai of the Satsuma Domain who were fighting for the Imperial side during the Boshin War (January 1868-May 1869). The Satsuma Domain played a major role in the restoration of the emperor and later in the government during the Meiji Period (1868-1912). The domain covered what is now known as Kagoshima Prefecture, as well as parts of Miyazaki Prefecture.